Playing on the legendary perpetual memory of elephants, the logo of Evernote, the web-based note taking and organizing service uses a stylized elephant whose dog-eared ear mimics its paper bookmarking counterpart. The American Heart Association logo is a classic, using a burning torch against the backdrop of a heart as symbol of its ongoing fight against heart disease which claims more lives in the United States than other disease. 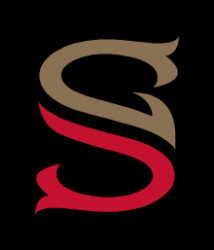 The logo of the Schaumburg Boomers is a great example of the type of creative freedom afforded to minor league baseball teams. From the quirky, localized mascot (a 'boomer' being a male prairie chicken) to its strikingly executed illustration incorporating iconic baseball elements and typography, this is the kind of unique mark which excites fans and supporters. Combining a light bulb and gear wheel, the symbols of ideas and innovation, Inventionland's logo clearly expresses its purpose as an ideas lab with a mark that, although fairly obvious in concept, is sharp in execution. The former mark of former Cleveland Cavaliers basketball player, LeBron James, cleverly incorporated his particulars - the initials L,B and J and his jersey number, 23, along with a crown to represent his self-proclaimed nickname, King James. Versatile and compact, this logo adorned the merchandise of his Nike affiliated merchandise until he adopted the number 6 jersey. Disney's corporate citizenship arm, Disney Hand, uses Mickey Mouse's iconic white cradling a heart as a symbol of its mission to be a positive and responsible influence in society, giving a friendly face to its corporate personality. 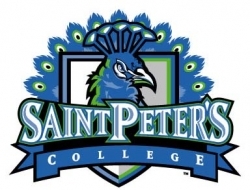 Represented by a wonderful metaphorical juxtaposition of a beautiful aggressive peacock, the mascot of St. Peter's College was chosen for a number reasons, among being the fact that the land on which the campus exists was once owned by a man named Michael Pauw, whose last name means "peacock" in Dutch. Minor league sports teams possess greater freedom (usually because they're not weighed down by a long history and legacy) to adopt more novel, creative identities which tend to generate greater fan enthusiasm and loyalty. In fact, the more successful teams tend to see this freedom almost as a mandate to move in this direction, distinguishing themselves from the often disposable, dime-a-dozen competition whose unique selling point is largely geographical. Paying homage to the area's fabled Loch Ness Monster equivalent, the American Hockey League's Lake Erie Monsters is such a team, with an identity whose fun, novel, geographically appropriate concept is done justice with a skillful execution. Vacation rentals website, HomeAway.com, uses a birdhouse to good effect as a visual expression of its competitive advantage in the accommodation industry by reflecting its rhetorical allusion to "a home away from home". The novel graphical approach with its subtle association to a chirping bird, emphasizes the personal, homely nature of the home rental experience in contrast to the traditional big box hotel experience, often summed up by comparing a house to a home. Designed by FutureBrand, the logo of Spanish professional golfer, Sergio Garcia, cleverly weaves together two strands to create an uppercase 'S' which doubles as a lowercase 'g'. Set in red and gold and styled after a gothic tradition, the mark pays tribute to his national heritage in a manner befitting the class, culture and tradition of the game. Offering architectural tours to South East Asia, Cultures East's logo is a reflection of this focus with a mark that mimics an Asian character symbol while cleverly embedding the image of a figure atop an elephant. The hand-drawn nature of the icon expresses the authentic cultural nature which the operators strive to provide to patrons. Just as a picture is said to be worth a thousand words, the mildly cryptic nature of Artaissance's name is offset by the visual clues offered by its icon, which is a capital 'A' stylized as an easel set against a backdrop mimicking the texture of an artist's canvas. Using a bold red, the authentic, handcrafted feel of the logo effectively matches and represents the nature of its business. Represented by a simple, graceful illustration of the country's iconic Canada Goose, Canadian Airlines' logo was an elegant symbol of and metaphor for both its Canadian heritage and its flying operations. 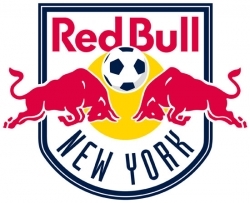 In a curious marriage of corporate marketing and sports franchise ownership, Major League Soccer's New York Red Bulls, the adopted offspring of Red Bull Corp., reflects the identity of its corporate parent. The company's name naturally and appropriately doubles as the team's mascot while the mark clearly inherits its DNA from the parent brand. As an experiment in ultimate brand promotion, this is rivaled by very few. Using variable bead shapes of vibrant colors, evocative of sea shells, to form a stylized outline of its islands is both a creative and elegant solution portraying the Bahamas as a exotic, fun-filled Caribbean destination.